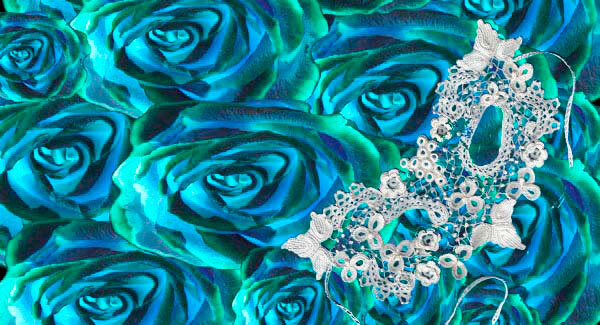 The Sheelin Lace Shop is a virtual museum of Irish lace. The Sheelin Lace Shop is a store and museum located in the village of Bellanaleck in Northern Ireland. How cool is that? I grew up the daughter of mixed cultural background. My Italian father always mentioned my mother’s heritage as being part of the “cold nord.” Not terribly flattering. Of course, she wasn’t Irish anyway, rather of German and other blended European cultures. My father failed to realize that sending us to Catholic schools through College just might interject a uniquely Irish bent found in Roman Catholic convents. As such, my six sisters and I took great delight in learning Irish heritage at least every year on the occasion of St. Patrick’s Day at every school we attended. A happily balanced life. Well, in some ways. The commingling of cultures will always have a special place in my heart. 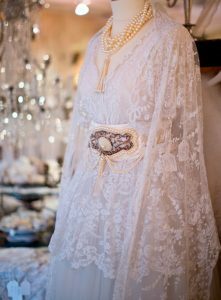 A story of Italian Irish Lace surfaced when I was looking, from the Italian town of Orvieto located in the northern region of Umbria. Orvieto is a medieval walled city you can see today. I visited Orvieto after high school when we were living in Florence. I remember the trip in part because my sisters and I had driven up to sightsee and had perched on an interior wall to eat our lunch, looking over the town. I dropped a napkin and the wind blew it right back up. Magic on a sunny day in Orvieto. St. Patrick’s Day would not be complete without a video of the Irish countryside– (you might want to watch it without the music) Stunning landscape. Black Irish is a term used for people of Irish descent who have dark hair and eyes. Tina Turner’s hair has always had a variety of colors and I’m pretty sure she doesn’t include any kind of Irish genes. This is an old version of Tina singing one of my favorites – Proud Mary, when she was still performing with her then husband Ike. 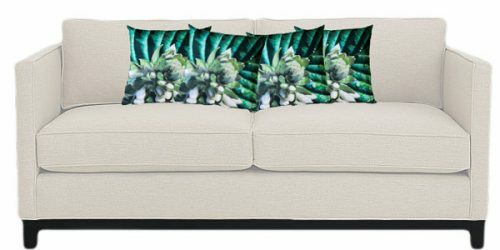 Classic is a fabulous dark green hosta pillow that goes with everything- but especially in March! Visit us on Etsy as PaolaStudio and see our complete line- ready to ship.